Der Artikel Yehudi Menuhin spielt Violinkonzerte wurde in den Warenkorb gelegt. 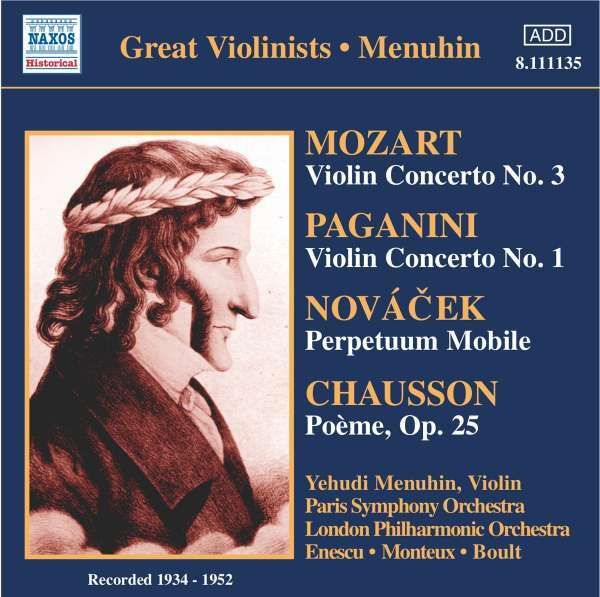 Not often does a recording change the public perception of a piece of music and its composer, but it happened when the 18-year-old Yehudi Menuhin set down this recording of Paganini's First Concerto in Paris in May 1934. Up to then the work had been thought rather trivial and reduced to one movement. Backed by Pierre Monteux, one of the best of the conductors who collaborated with him in the 1930s, the young violinist turned in a highly musical performance, a fine fusion of the carefree and the scholarly. 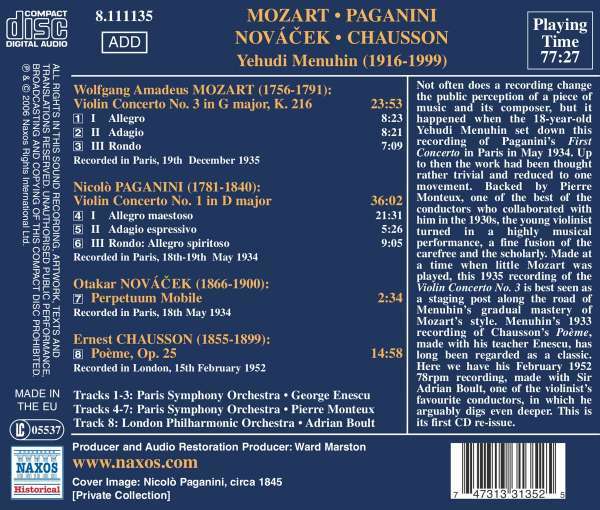 Made at a time when little Mozart was played, this 1935 recording of the Violin Concerto No. 3 is best seen as a staging post along the road of Menuhin's gradual mastery of Mozart's style. 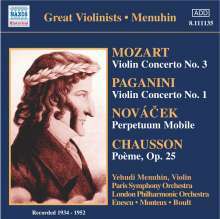 Menuhin's 1933 recording of Chausson's Poeme, made with his teacher Enescu, has long been regarded as a classic. Here we have his February 1952 78rpm recording, made with Sir Adrian Boult, one of the violinist's favourite conductors, in which he arguably digs even deeper. This is its first CD re-issue.